Hybrid smartwatches are taking off, better than the usually unapologetic digital smartwatches that attempt to look as little like traditional timepieces as possible. 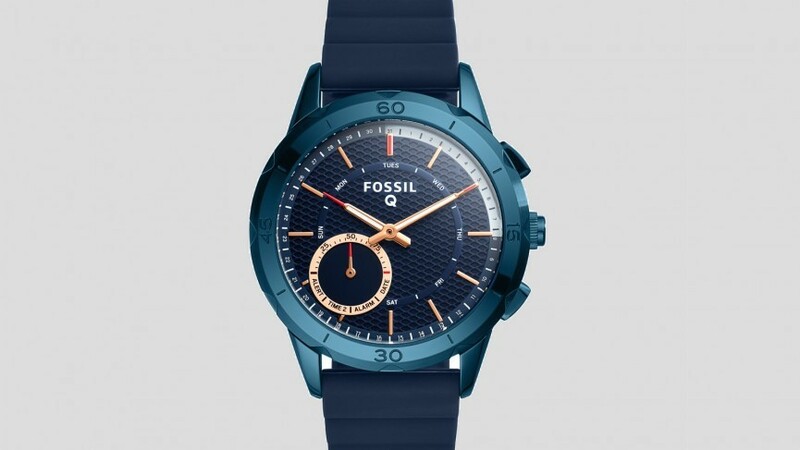 Fossil is at the forefront of the new smartwatch movement, having introduced a number of hybrid smartwatches over the last year: Emporio Armani, Kate Spade, and Diesel, as well as the Q series Q Crewmaster, Q Nate, Q Gazer, and Q Tailor. Fossil has now taken the wraps off three new Q hybrid smartwatches at CES 2017: the Q Accomplice, Q Modern Pursuit, and Q Grant. The Q Accomplice, Modern Pursuit, and Grant continue Fossil's hybrid smartwatch line in that these devices look like modern luxury timepieces but have some smart, yet subtle, capabilities that are disguised from afar. The Q Accomplice, with a "criminal" name, features 3 buttons that can be tailored to specific functions by way of the Fossil Q App. The Fossil Q Accomplice is the slimmest hybrid smartwatch Fossil has ever crafted. The Fossil Q Modern Pursuit and Fossil Q Grant continue the typical hybrid smartwatch fashion/functionality mix that makes this category so popular. The Q Modern Pursuit is a sports watch from Fossil, which helps the company engage those who want a more active smartwatch to match their active lifestyle (thus, featuring silicone straps and sport watch hands). The Fossil Q Grant appears to be crafted in the spirit of classic timepieces while retaining smart capabilities. These Q watches added to Fossil's growing Q list adds up to 7 smartwatches in the Q series. This doesn't count the Android Wear-powered Fossil Q Founder, ruggedized Q Marshal and feminine Q Wander. The Q series works with Android smartphones running KitKat 4.4 or higher and iPhones running iOS 8.2 or higher, and will cost anywhere between $175 and $215 when they land on the market this Spring. Fossil has said before that hybrid smartwatches are the future of the smartwatch market. With its acquisition of Misfit, and continued push to bring as many hybrid smartwatches to the market as possible, we wish them success.